This is a “no brainer” high end GEM. Overall, the surfaces are extremely clean and have a thick satiny texture. There are a few LIGHT and well hidden scuffs/frost breaks which are probably keeping this coin from an MS66 designation. Again, the scuffs are SMALL and are hidden. A thick satiny luster glows all over. Both sides a super even original gold color. There are no spots or discolorations. Miss Liberty and the details are sharply struck and stand out. The eye appeal is great! PCGS 29, NGC 63, CAC 7. 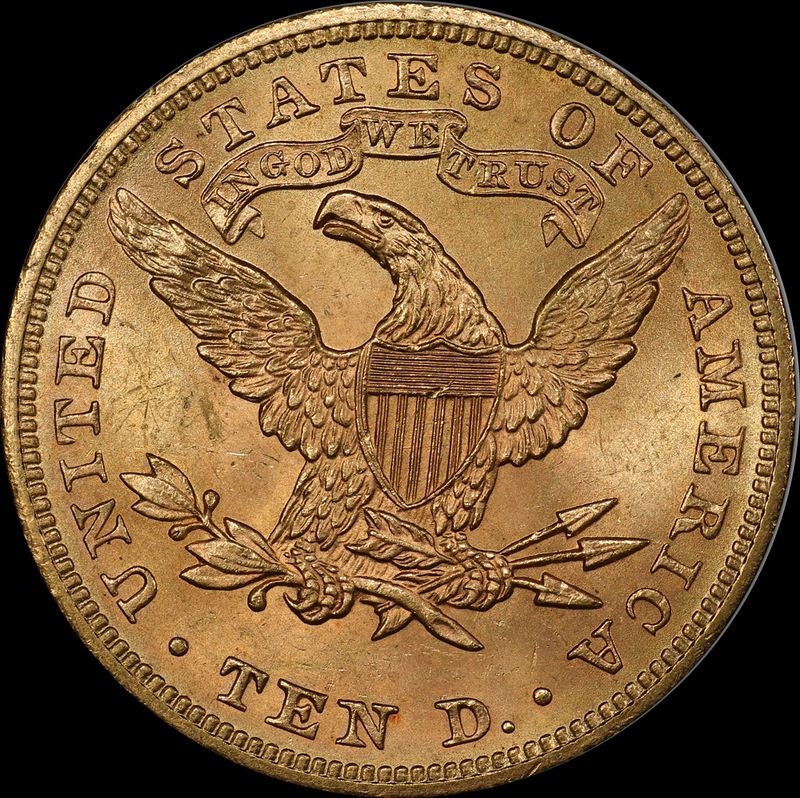 The last PCG CAC piece to sell in auction brought $4,700.00 08/2017. Do NOT confuse these with 1901’s-these are far rarer. In fact, the last one we owned was in early 2015-and that coin was $5,500.00. Clearly these have settled to really opportunistic levels. 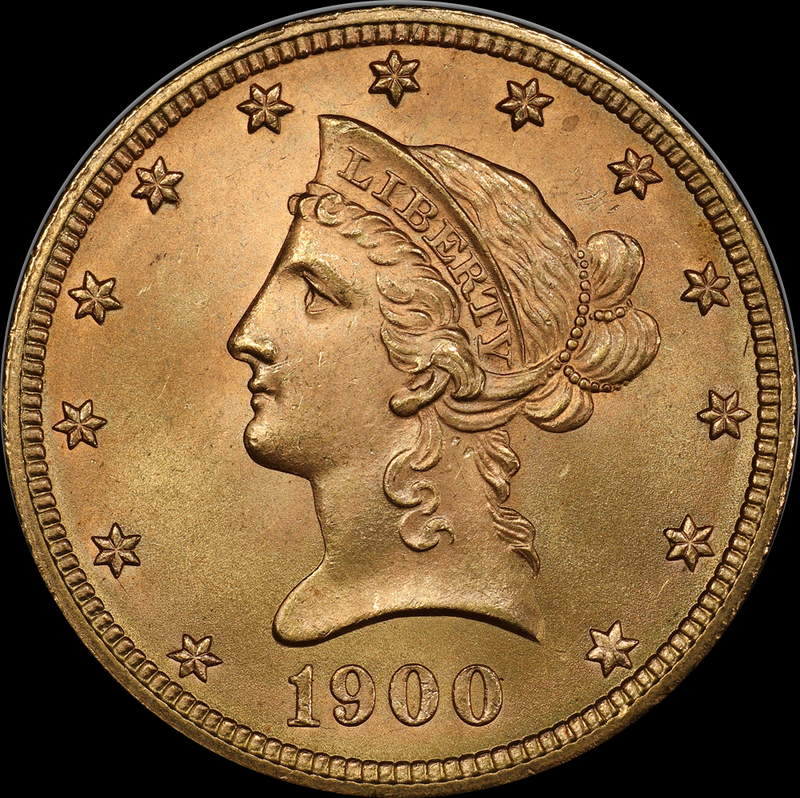 This date is a sleeper and usually is the last found for the 1900-1907 series.